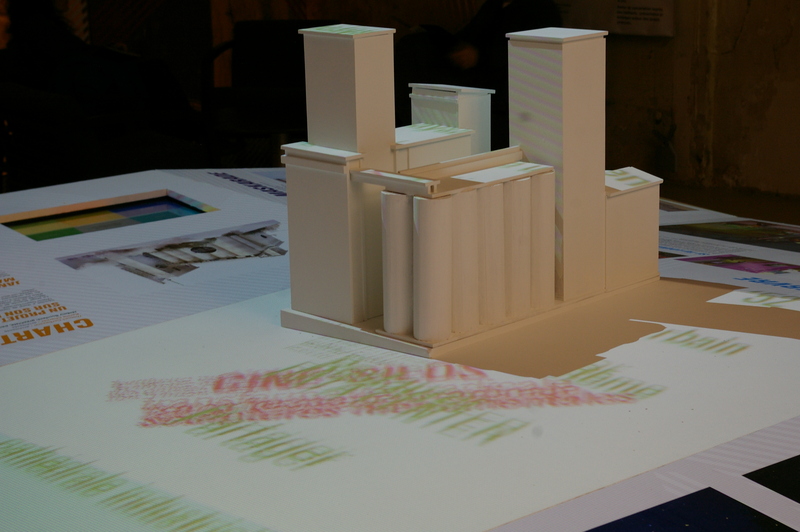 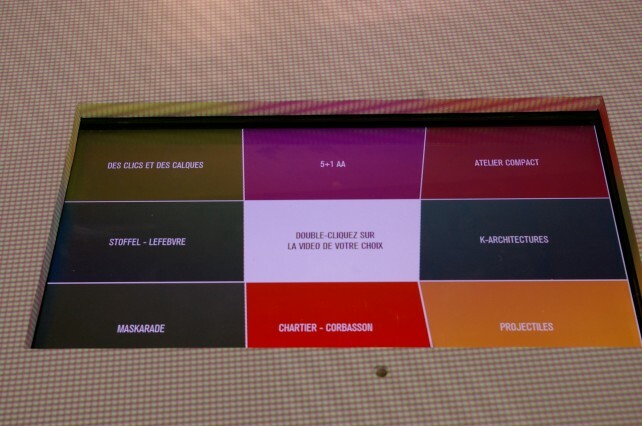 The exhibition “reinterpret the industrial heritage – grain silos in Louvres” presented the eight teams who competed in the context of the call for transformational ideas for the grain silos in Louvres (95) organized by ‘Plaine de France’. The stage design is based on a large table, drawing an abstract landscape. 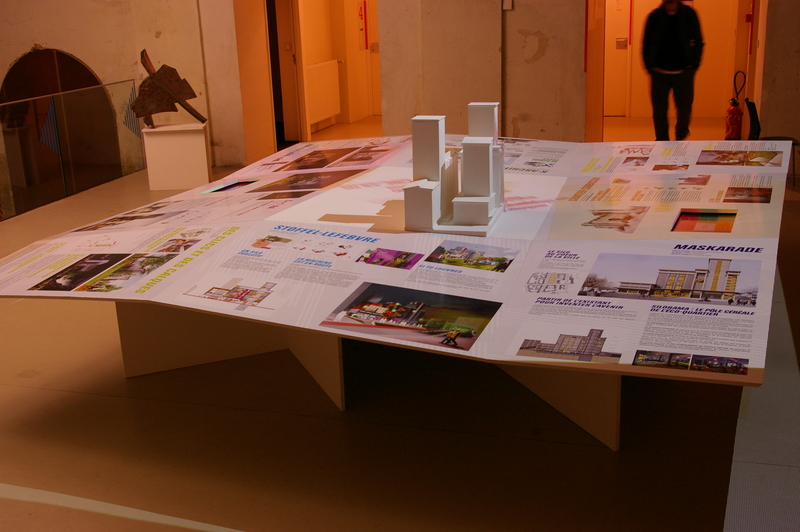 The project of each team was exposed on a portion of the table. 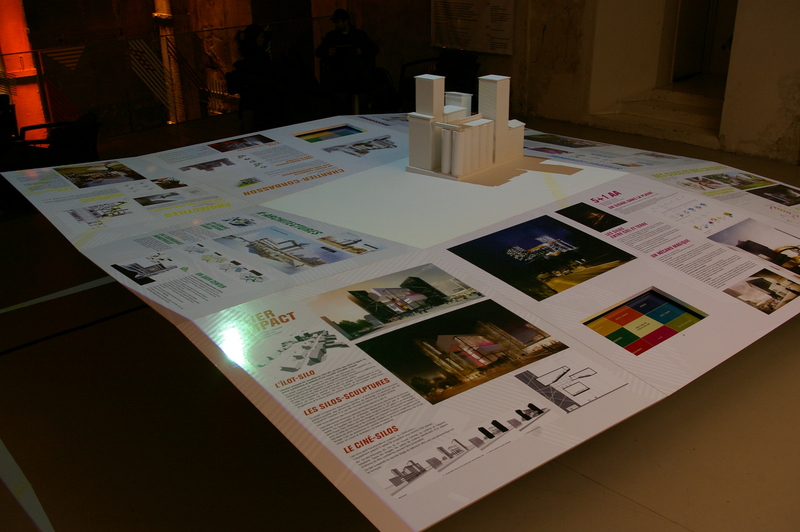 A zenithal projection highlighted punctualy one of the projects by enlightening it and by projecting keywords toward the center of the table where is exposed the model of the current silo. 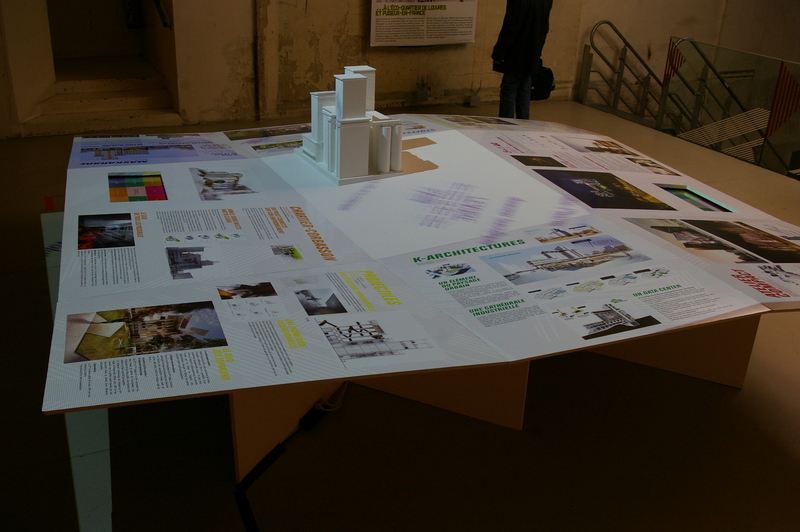 Two touch screens have been integrated as well with an interface according to the shape of the table and thus facilitating access to the video-interviews of the architects.